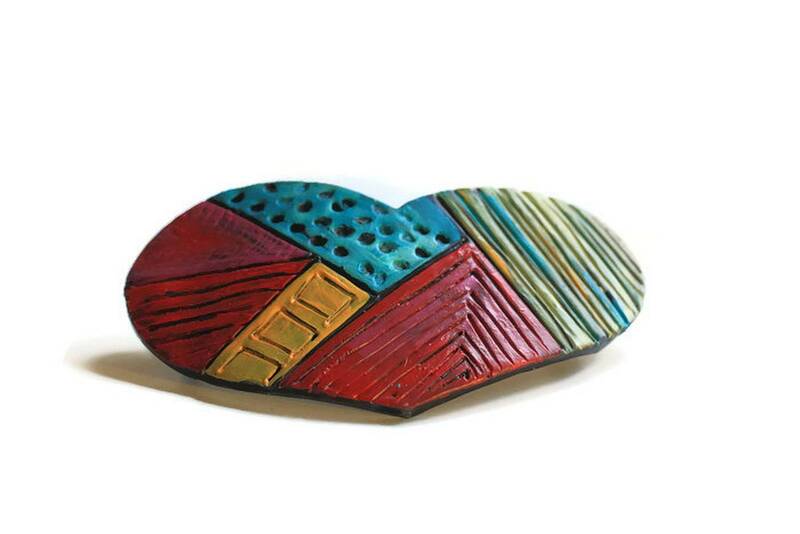 This is a large handmade Hair Clip / Barrette. 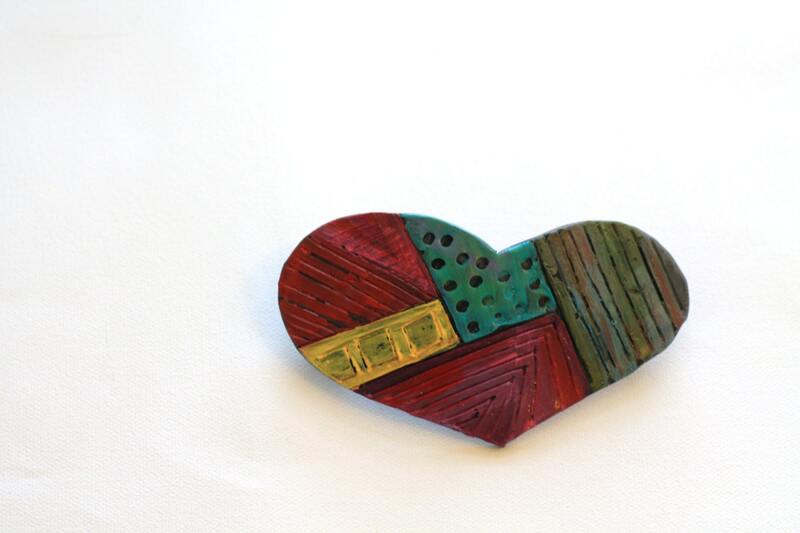 This clip is cut from polymer clay, carved and embossed, heat cured, then hand painted with a multiple layer paint technique. 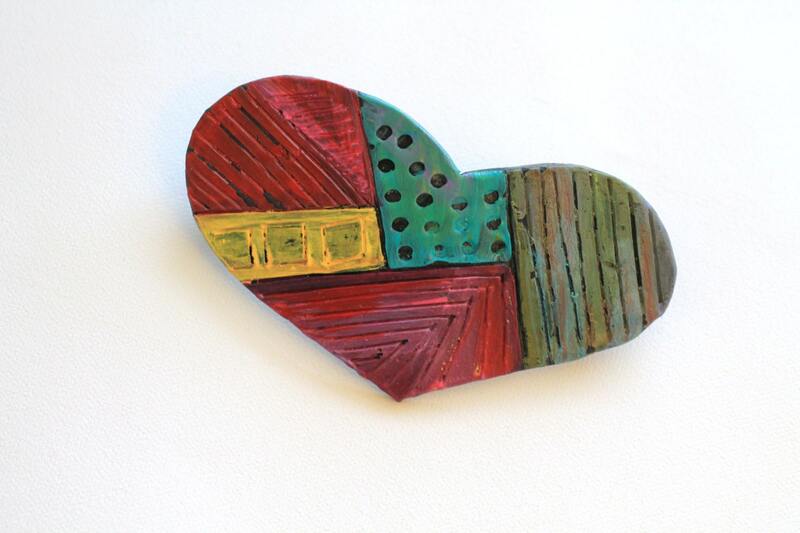 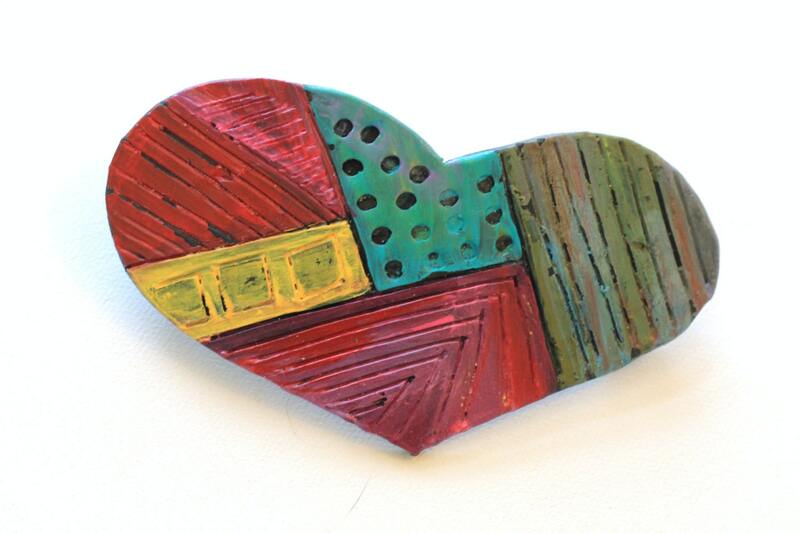 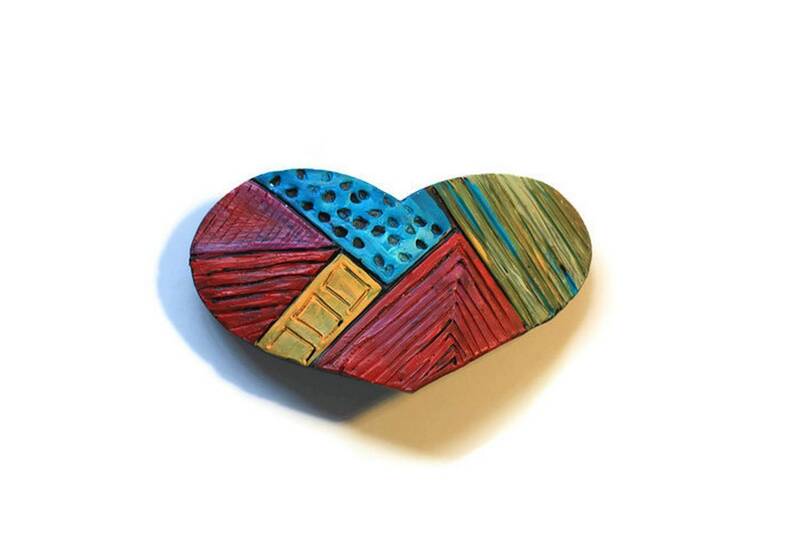 This large heart is part of my Gypsy Soul Collection, bright hues with a light rub-off and glazing. 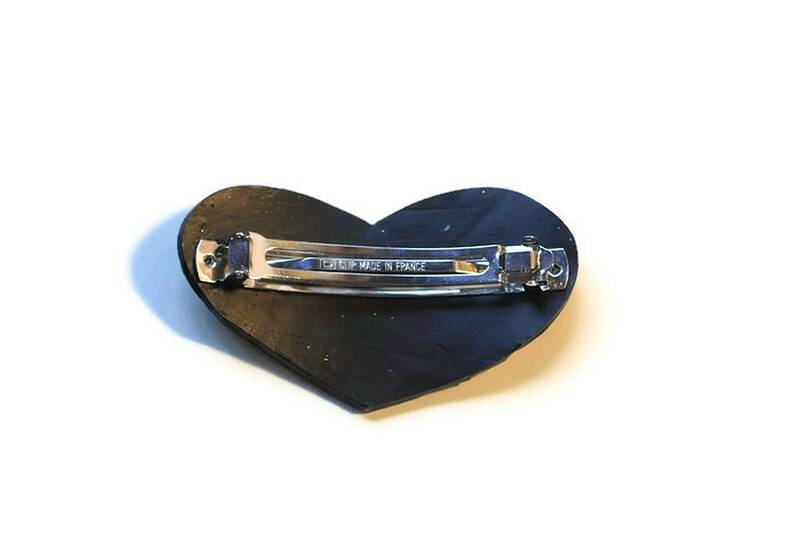 Unique, beautiful and perfect as an accessory to your wardrobe. 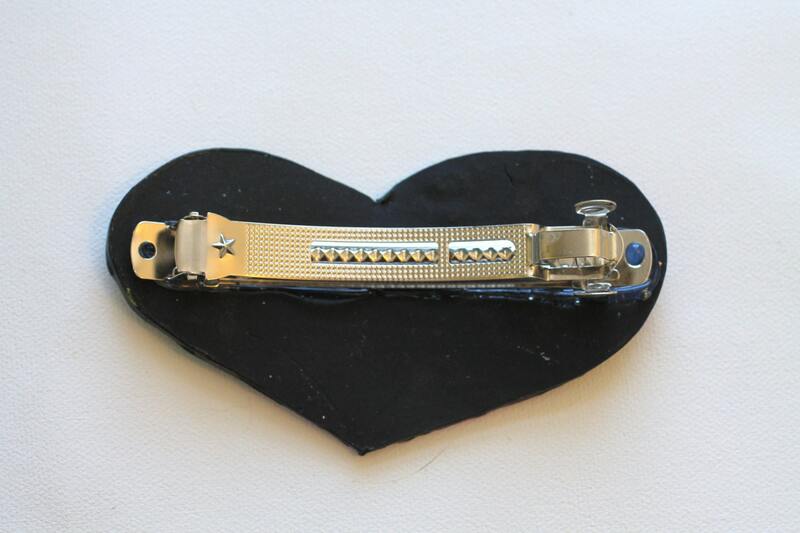 Easily holds long, thick or curly hair without pinching or sliding, perfect for an updo or pony.